In a historic innings, Pakistan’s Fakhar Zaman has scores a whooping 210 runs against Zimbabwe and has become 5th highest runs scorer in ODI history. 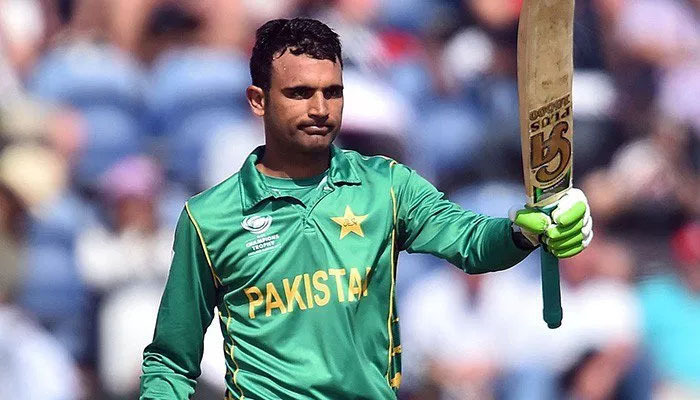 With his 210 runs Fakhar becomes first batsman in the country’s ODI history to score a double century and now stands as the country’s highest runs scorer in a ODI. Before him Saeed Anwar held the record of being the highest run scorer for the country with his 194 runs. Saeed Anwar scored 194 runs against India back in 1997, which was highest score for any batsman in the world at the time. India’s Rohit Sharma helds the record of being worlds highest runs scorer in an ODI with his 264 runs. New Zealand’s Martin Guptill is on second number with his unbeaten 237 runs. Third position is held by India’s Sehwag with 219 runs while West Indian Chris Gayle holds fourth position with his 215 runs. Pakistan scored 399 for the loss of one wicket which in itself is the country’s best performance in an ODI. Before this, Pakistan’s highest score in an ODI was 385 which they scored against Bangladesh in 2010. In the category of highest score by a country, Pakistan stands on 22nd position. England tops the chart with their 481 runs which they scored against Australia this year. Pakistan is on Zimbabwe tour and is playing a five ODI series against them. The green shirts have already won their first three ODIs against Zimbabwe.